Menopause can spark a diversity of symptoms caused by a definite hormonal shift. Hot flashes, irregular periods, mood swings, fatigue, insomnia, irritability, headaches, changes in libido and bladder control are all very real symptoms during the menopause years. Not every woman will experience every symptom, but all of these symptoms are associated with the hormone changes that occur in a woman’s body as menopause begins. And many of these menopause symptoms can actually alter a woman’s life and attitude. 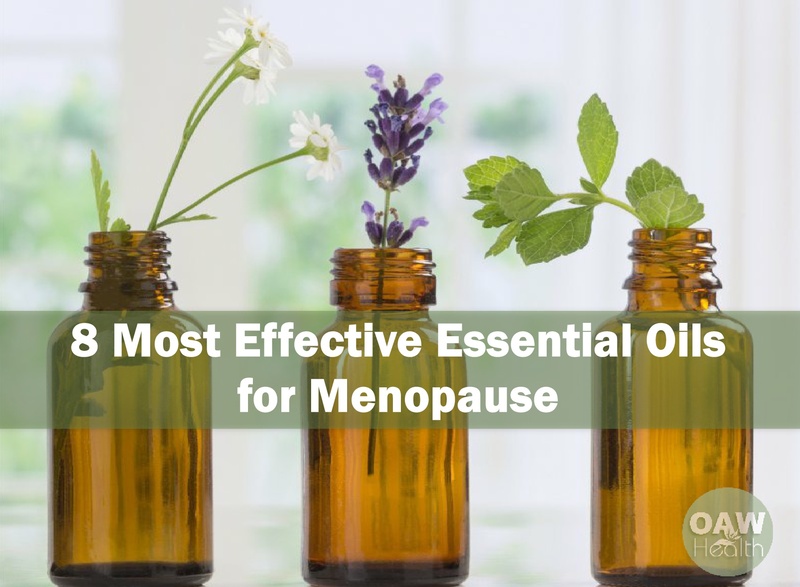 The good news is there are many successful natural remedies for these menopause difficulties, one of which is incorporating effective essential oils for menopause symptoms. I consider these particular essential oils as “natural therapy helpers” during both the peri and post menopausal years. 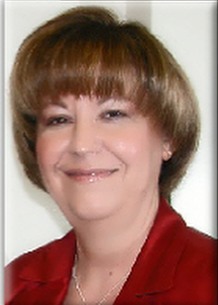 Menopause is a natural transition all women experience. For our grandmothers and great-grandmothers, life expectancy was shorter and reaching menopause often meant that their life was nearing an end. But this is no longer true – so get those thoughts out of your mind. Today women are living much longer—on average, until age 81. How you experience menopause is determined by many factors: attitude, diet, overall health, genetics, lifestyle and your cultural group. And let’s add to this list, the willingness to research and add bioidentical hormone therapies, when needed. 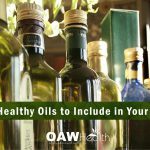 When discussing essential oils for menopause, it’s good to keep in mind that there is good research indicating that they can help relieve many of those pesky symptoms that most women experience. These oils don’t work for everyone nor do they clinically balance hormones. It’s important to remember that symptom relief does not always equal balance or even wellness — even though conventional medicine would have us believe this philosophy. If you are new to essential oils, I consider the effective essential oils for menopause listed below to be a good starting place. And if you are looking for both symptom relief and hormone balance, I encourage you to research bioidentical hormone therapy which is a very successful natural hormone balancing remedy for many women who are going through the menopause years. 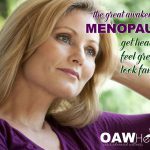 As always, you should speak to a trusted and knowledgeable healthcare professional about alternative therapies for menopause that are conducive for your particular health concerns. Below are the 8 Most Effective Essential Oils for Menopause that I believe can help with those bothersome symptoms often associated with both the peri and post menopause years. 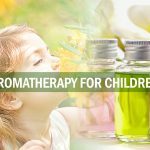 These essential oils work by soothing, harmonizing and balancing on both a physical and emotional level. Peppermint essential oil is known to help reduce the annoyance associated with flushed and hot. Placing a couple of drops on a tissue held up to your nose can bring fast relief. Peppermint essential oil is also an exceptional oil for promoting a healthy digestive tract, with which some menopausal experience difficulty. In one study, Peppermint Essential Oil had the same effect as taking a 1000 mg of acetaminophen, but without any of the harmful side effects. Rose essential oil has a feminine and relaxing aroma that can comfort women who are going through hormonal changes. Rose essential oil is known to boost reproductive health and it can help with menstrual cycle difficulties. Rose essential oil strengthen uterus function. Rose essential oil can boost self-esteem and confidence, which is definitely helpful for women experiencing this time of life called menopause. Bulgarian Rose also battles anxiety, which deals with hormones in an indirect and direct way. It also boosts circulation of the blood. Rose essential oil may also optimize mental strength and concentration, as well as promote healthy skin. Anise Essential Oil is sometimes used to ease menopause-related aches and pains. The hormone imbalances caused by menopause can definitely dampen a good mood. Anise Essential Oil can help women with those up and down emotions and prepare women for the changes they are going through. Vitex has been clinically proven to relieve hot flashes. Vitex is also known to naturally increase progesterone production; however, it can take up to six months for women to notice a difference. I recommend applying Vitex directly to your pulse points, back of your neck and bottoms of your feet one to three times per day throughout peri-menopause and menopause. Vitex can also be found in a tincture to take orally. Geranium provides many benefits for relief of menopausal symptoms. Geranium essential oil is wonderful for moisturizing dry, problem skin and it can boost mood. This balancing effect on emotions can help you feel more stable during those times of up and down mood changes. Lavender essential oil is always associated with soothing and calm. Lavender can help with those physical and emotional symptoms related to menopause. Lavender may also help fight anxiety. 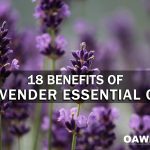 In one study, encapsulated lavender oil was found to be effective for generalized anxiety disorder, without sedative effects or potential for abuse. It has a balancing effect on the entire body which helps calm those ups and downs that many women feel during this change. Lavender essential oil has long been used in aromatherapy to support relaxation and restful sleep. Lavender essential oil can also help to ease a body that is feeling flushed and calm the circulatory system. Clary sage essential oil helps the feeling of being flushed and not without warning – the number one complaint of women going through menopause. A 2014 study published in the Journal of Phytotherapy Research found that inhalation of clary sage oil had the ability to reduce cortisol levels by 36% and improved thyroid hormone levels (TSH). Often just a few drops of diluted clary sage oil on the tops of your feet and the back of your neck will do the job. Clary sage can also help when inhaled, so it’s a good idea to bring along when you are traveling or out on-the-town. Clary sage can also improve your outlook on life and support a positive mood. One of the major benefits of Neroli oil is that it helps relieve many symptoms associated with menopause. Neroli oil is extracted from the blossoms of the bitter orange tree and is rich in limonene, a compound that is known for its anti-anxiety and muscle-relaxing benefits. When inhaled the aroma of neroli is known to relieve anxiety, stress and depression, reduce high blood pressure and stimulate an under-active libido — many symptoms common in menopause. Neroli also boosts the actions of the endocrine system. A 2014 study that evaluated healthy postmenopausal women who inhaled neroli oil for five minutes, has revealed that this oil can help enhance their estrogen concentrations and blood pressure. The participants also reported that it helped reduce stress levels. Neroli has been found to contain anti-inflammatory qualities which may help provide relief for the aches and pains of menopause. A powerful way to use essential oils to ease menopause symptoms is massage. Massage can help lighten many difficult symptoms such as insomnia, hot flashes, nervousness, melancholia, moodiness, headache, and weakness. Adding regular massage therapy for your overall health and wellness during menopause is a good idea. Always treat essential oils with caution and take precautions. A tiny bit of oil goes a long way, so don’t go overboard. Before using any essential oil, perform a patch test on your skin to check for sensitivities. Menopausal symptoms can seemingly make life difficult, but remember this is just a season that will eventually pass. Be gentle and kind with yourself and turn to natural remedies to support your body through this change. Vitexagnus-castus essential oil and menopausal balance: a self-care survey. Complement Ther Nurs Midwifery. 2002 Aug;8(3):148-54. Changes in 5-hydroxytryptamine and cortisol plasma levels in menopausal women after inhalation of clary sage oil. Phytother Res. 2014 Nov;28(11):1599-605. doi: 10.1002/ptr.5163. Epub 2014 May 7. Maryam Lotfipur Rafsanjani, Seyed & Vaziri Nejad, Reza & Ismailzadeh, Shayesteh & Jaberi, Ali & Bekhradi, Reza & Ravari, Ali & Akbari, Jafar. (2015). Comparison of the Efficacy of Massage and Aromatherapy Massage With Geranium on Depression in Postmenopausal Women: A Clinical Trial. Zahedan Journal of Research in Medical Sciences. 17. 10.5812/zjrms.17(4)2015.970. Rose oil (from Rosa × damascena Mill.) vapor attenuates depression-induced oxidative toxicity in rat brain. J Nat Med. 2013 Jan;67(1):152-8. doi: 10.1007/s11418-012-0666-7. Epub 2012 Apr 8. The Study on the Effects of Pimpinella anisum on Relief and Recurrence of Menopausal Hot Flashes. Iran J Pharm Res. 2012 Fall;11(4):1079-85.